To access the entire original WingMakers website almost exactly as it once appeared, enter here. The WingMakers website first appeared on the Internet in late 1998. I first came upon it through a good friend's recommendation in November of 2000. Though I initially had serious questions and doubts about much of the mind-boggling information on the WingMakers site, I was immediately struck by the depth, clarity, and beauty of the two philosophical writings. Tears welled up in my eyes as I had never in my life read anything which so opened my mind, heart, and spirit, and resonated so deeply in my soul. As I found the WingMakers philosophical material to be so deeply moving, I decided to copy the information on the WingMakers website for future study. But then within a few months, I saw the website gradually begin to change from it's original form. Where it once provided inspiration through poetry, paintings, philosophy, and music free of charge, the WingMakers website began to transform into a commercial endeavor, making some of the material there available for sale. Names were changed and more. Someone named James appeared on the changed website, claiming that he was responsible for it. The incredible story around the discovery of the physical site where the WingMakers material was found was also changed and gradually given a very different spin. The discovery date of the Lost Arrow site was changed from 1972 to 1996. Two additional philosophical writings were added to the original two (which were both given on one webpage). And when I carefully compared the changed WingMakers website with the original information I had copied, I discovered other most surprising and intriguing changes. Before describing more changes, it is important to mention that the WingMakers story is quite unbelievable for most who first read it. I originally suspected that the story might have been created to promote the inspiring philosophical teachings. Only after I saw the website change in unusual ways, and then learned about the huge cover-up around UFOs, did I eventually come to believe the WingMakers story was likely true. I invite you to be skeptical as well, as there is certainly no way I know of proving the story. That said, I also invite you to keep an open mind. 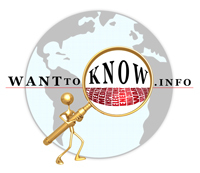 The WantToKnow.info website clearly shows that many things are not what they seem. Among the many significant changes, a 24th chamber was added to the 23 chambers (the number of human chromosomes) on the original WingMakers website. In the interviews section of the changed website, the seven WingMakers sites around the planet are described as having a military objective, when the original website had no hint of anything military in all descriptions of the WingMakers. Some key inspiring parts of the old interviews were completely deleted, others added, and star distances were changed. The distance to the star system of the Corteum was changed from 15,000 light years on the old website to 15 million light years. The story on the current WingMakers website has taken on an hierarchical flavor. It talks of a superior Central Race (of which the WingMakers are supposedly a part), of a Lyricus teaching order from this race, and of a mysterious "grand portal" leading to scientific proof of the soul. None of these concepts were part of or even mentioned on the original WingMakers website. Yet the insertion of these key concepts was among the first changes made to the website in 2001. These concepts are quite different from the original WingMakers writings, which were all about opening ever more to divine wisdom from within ourselves, and about moving beyond the teacher/student ordering of the hierarchical paradigm to recognize the divine equality of all beings. It is most interesting that James, who claims he is responsible for both the original and new WingMakers material, mentions on the changed website in question nine at this link, "In my dominant reality, I am known as Mahu Nahi." Yet it is stated on both the original and changed website that "the leader of the Corteum mission to earth is called -- in English -- Mahunahi." This same webpage describes the extraterrestrial Corteum as beings which "stand nearly three meters high and have very elongated heads and bodies. Their skin is very fair ... almost translucent." So if James is being honest here, he is claiming that he is a 10-foot tall alien. It's also interesting to note that for the first couple years, virtually no mention was made on the website of the gradual, yet significant changes being made. It seems that the original WingMakers website was somehow taken over and that the original information was gradually distorted and diluted by very sophisticated powers that did not want this information going out. Some highly intelligent group, which obviously had ample funds, appears to have taken control and gradually changed the orientation of the original website so that those seeking the deep WingMakers wisdom would be subtly led back towards more hierarchical ways of thinking. To explore the sequence of these changes, you can find archived versions of the WingMakers website on the Internet Archive at this link. The first version of the website should be listed as January 25, 1999, which is only months after the website first appeared on the Internet. The website starts to change in the March 2001 version there. For a detailed, revealing comparison of the original and changed versions of the WingMakers interviews, click here. It is interesting to note that despite the many changes, the two philosophical writings from the original website have changed very little on the current site. This may be because the original versions of this philosophy were written in language that is quite esoteric and difficult for most people to understand. I have worked professionally as a language interpreter for many years, and was able to understand the originals and recognize the beauty of what I read. Using my translation skills, I translated this esoteric language into common, everyday English, which is what you now read on our website at this link. If you are interested in verifying and further exploring all of the information above, I recommend you start by reading the fascinating introduction to the original website and WingMakers material as I downloaded it here. Compare this with the full introduction on the changed website at this link. You can access the entire WingMakers website almost exactly as it once appeared by clicking here. I also highly recommend reading reliable information on the UFO cover-up available here for more background understanding to all of this. The original writings, poems, and paintings of the WingMakers were simply sharing powerful information and inspiration on the transformation currently taking place on our planet with no hint of fear for our future. 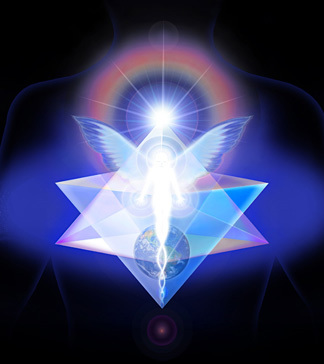 This transformation described by the WingMakers involved the shift to a new paradigm where an ever-increasing number of people realize that the deepest answers in life are found not by searching outside of ourselves in the way of the old hierarchical paradigm, but rather by searching within our own divine essence to find deeper connection with all around us. The philosophy of the WingMakers states that the universe is always mirroring our own deepest beliefs back to us. It is up to each one of us how we choose to see and interpret everything in our lives and everything that happens. And the more we open to the WingMakers' three principles of transformation (seeing the Divine in all, nurturance of life, and gratitude), the more easy and fluid our lives may become. It is our choice whether we choose to live in fear, or whether we choose to recognize fear as an invitation to growth, and work with it as a potential tool of transformation. For a number of years I was concerned and even alarmed that the WingMakers materials were changed in ways that I believed diluted and even distorted the power of the original writings. Yet eventually, as I examined my own role in creating this fear, I was able to find compassion and trust for all involved. In recent years, I've been quite encouraged and even excited that the current wingmakers.com website and the other websites it has spawned seem increasingly to be coming from a place of the heart, though I still find the original website to be far more profound and transformational for those who are ready to journey into their own inner wisdom. I trust that the Divine (God, Prime Creator, First Source) is always acting in perfect time and perfect fashion through each one of us to create what is best for all beings in this universe. The more we trust the Divine and align ourselves with what's best for all beings, the more easy, fluid, and love-filled our lives become. For me, this is an essential part of what the WingMakers are telling us. I most highly recommend that you open to your own spiritual guidance in exploring these matters. If they resonate for you, I also highly recommend reviewing the original WingMakers philosophical essays and poems from time to time, as they will very likely awaken ever more light and love inside of you. I very much enjoy reading the philosophical essays once every few months, and invariably find myself inspired anew. We are clearly in the middle of an incredible planetary shift, which is but a reflection of deep changes within each of us and within the collective consciousness of humanity. I am happy to help with this collective shift in any way I can. I am also very excited and thankful to have the profound wisdom of the WingMakers as a reminder to look within myself for the deepest answers. I warmly welcome your thoughts or questions on any of this. You can send me a message on this webpage. Thanks for your interest in the profound WingMakers material, and may you have a great day! P.S. For a detailed, revealing comparison of changes to the WingMakers interviews, click here. And for those interested, I had a fascinating exchange of emails with the alleged founders of the WingMakers website, Mark Hempel and James. To read this stimulating dialog where I ask questions about some of the points listed above, click here. If you resonate with the WingMakers material, you might also enjoy an inspiring, free online course and community we have created for the planetary transformation team at this link. Final Note: For an abundance of uplifting materials which call us to be all that we can be and to work together for positive change, please visit our Inspiration Center.